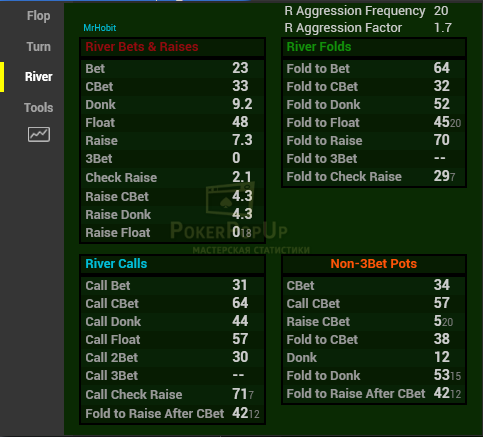 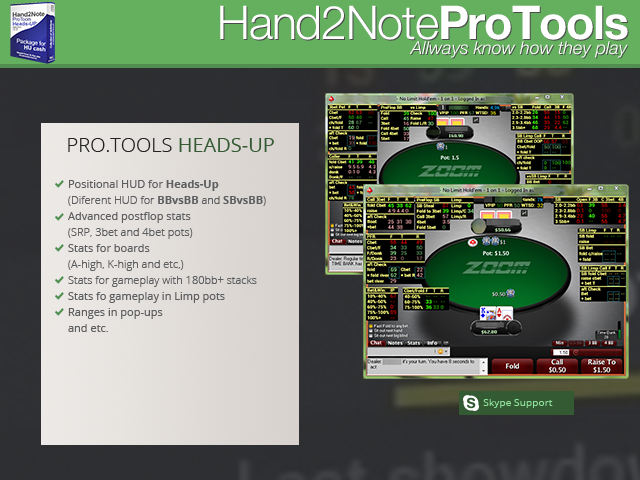 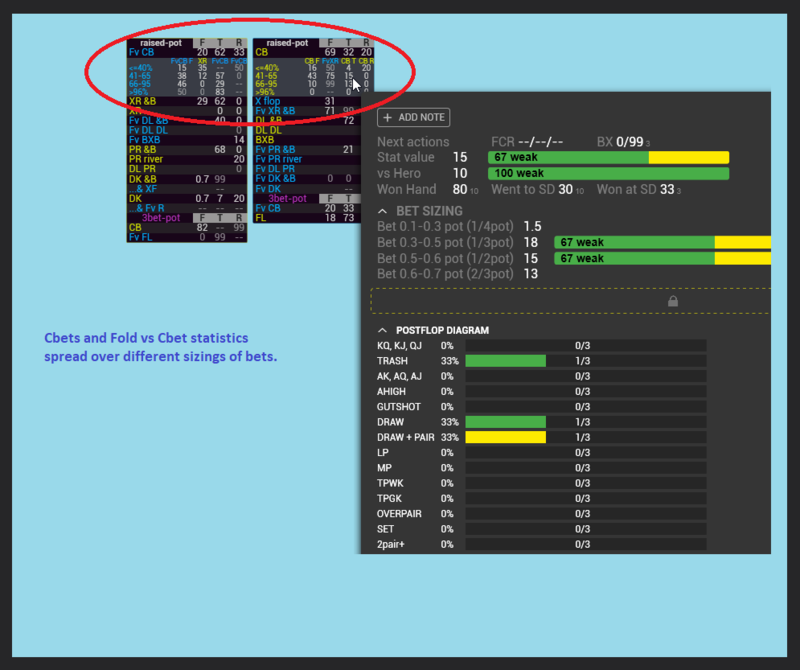 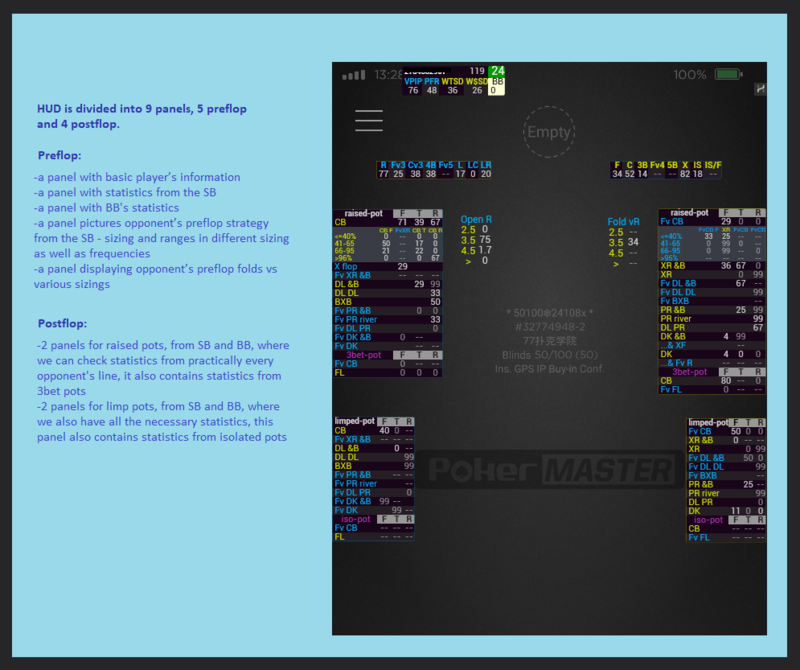 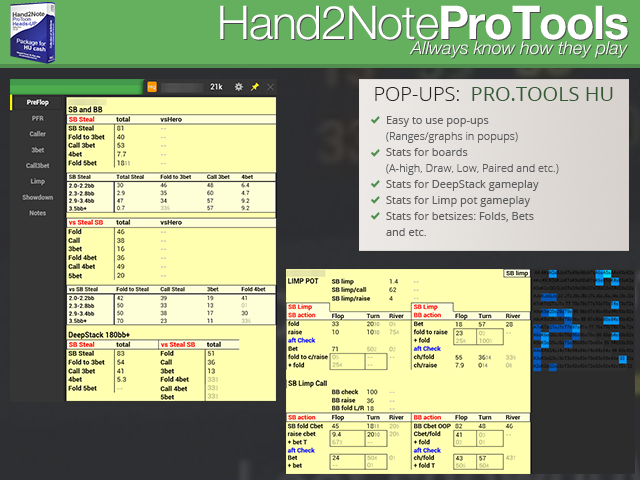 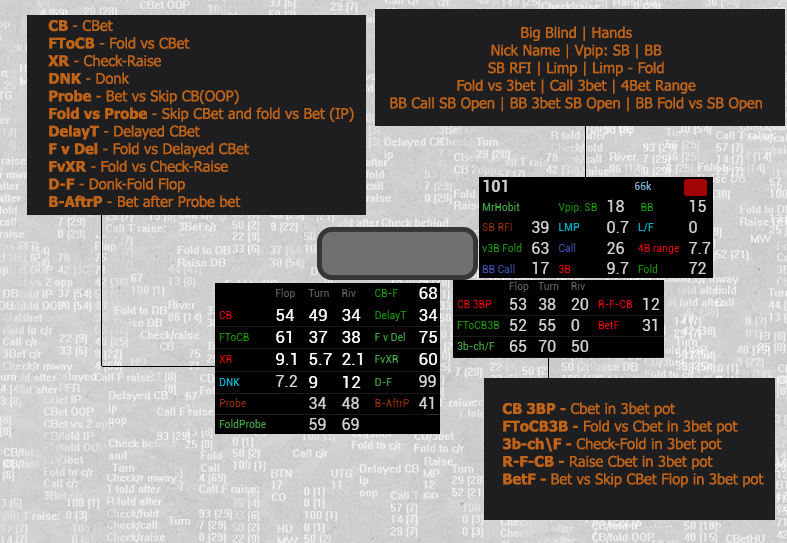 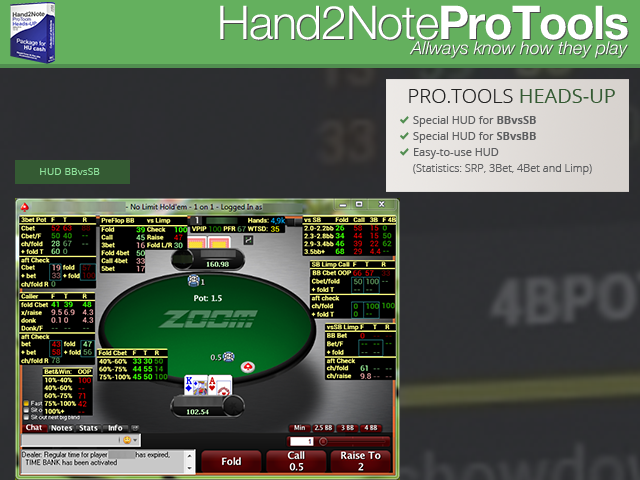 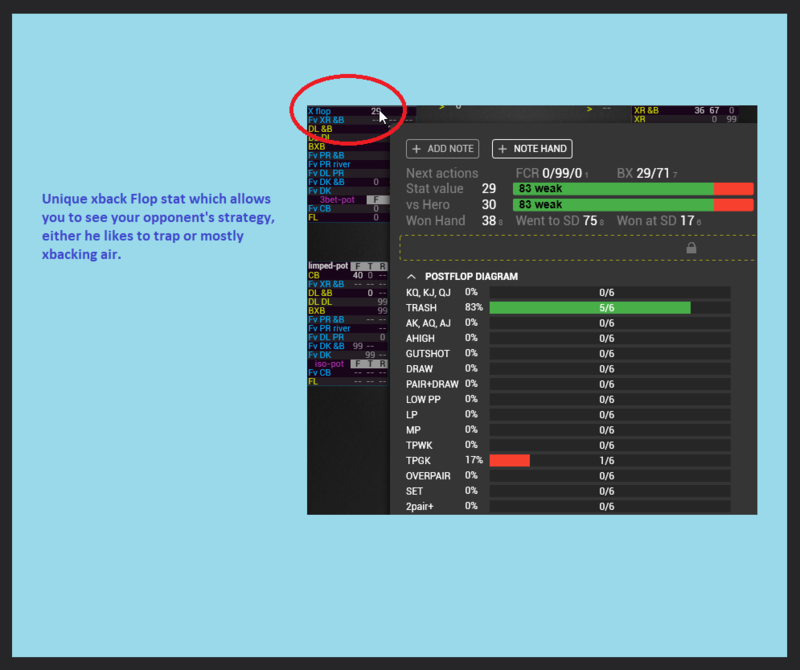 Hand2Note Pro.Tools Heads-Up - HUD and collection of popups with advanced statistics for Heads-Up gameplay. 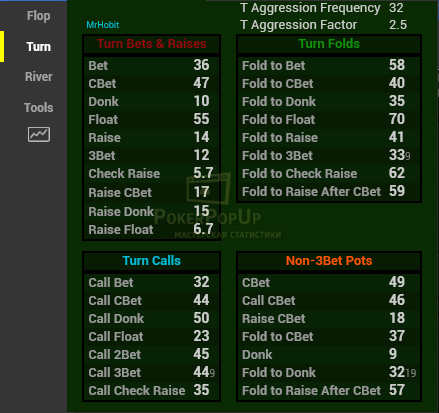 «Battle» Package (ENG) contains Pop Ups and Hud for playing HU games.In this kit you will find maximum possibility of indicators and their successful placement will help you make decisions very quickly and they will be most accurate as they can be. 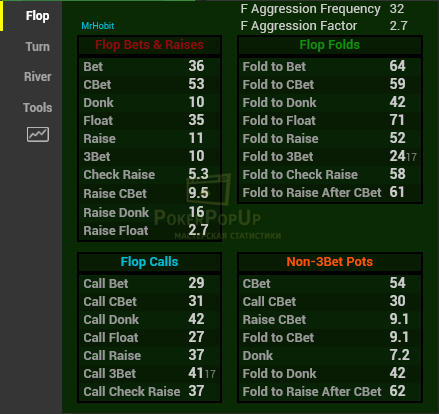 At your service detailed information about the game of the opponent on pre-flop, flop, raised banks, as well as 3-bet and 4-bet-banks. 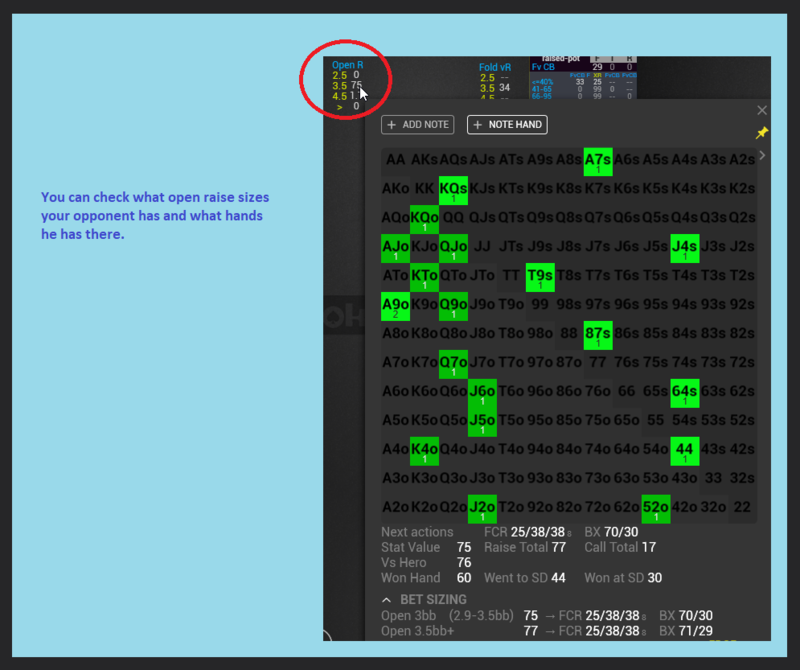 A pleasant color scheme conveniently separates the types of banks, without straining your eyes. 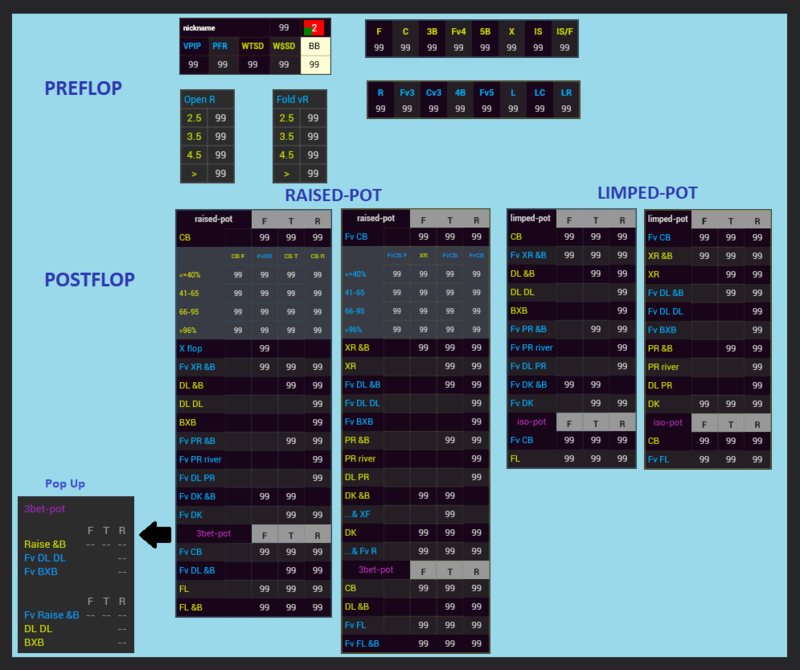 Description... 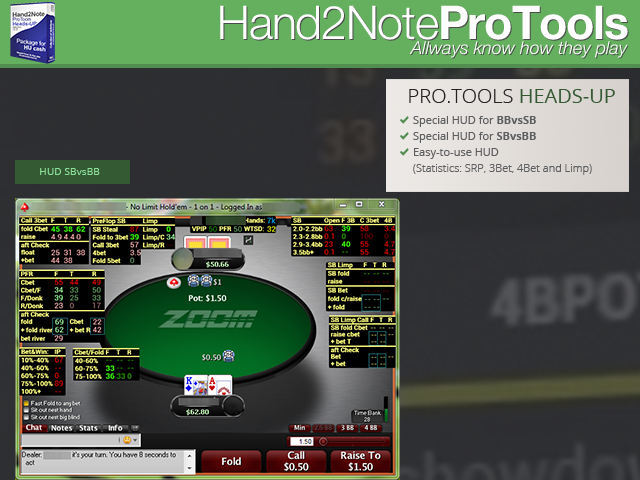 This HUD was designated for HU games at PokerMaster (but it also works on other sites). 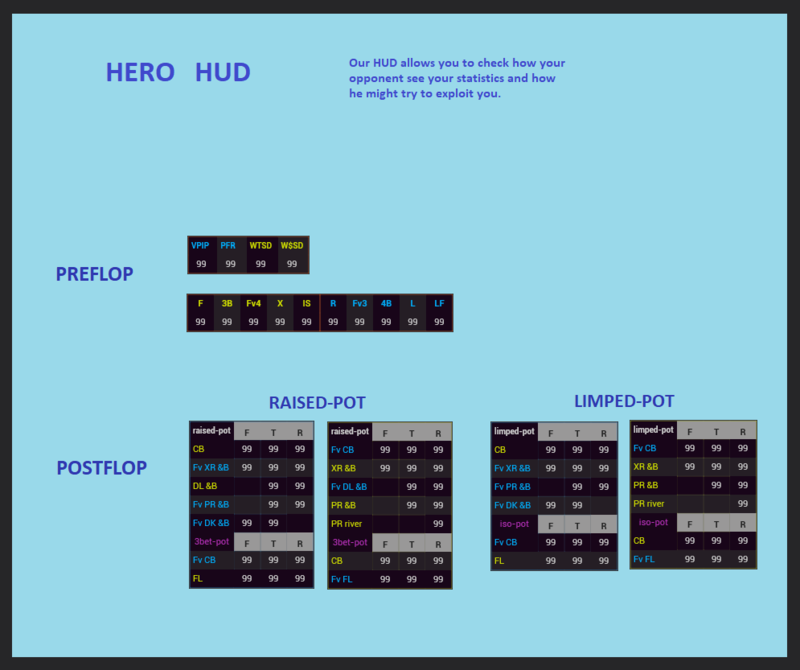 Hud contains many advanced statistics, which allow you to gain ever bigger edge over your opponents. 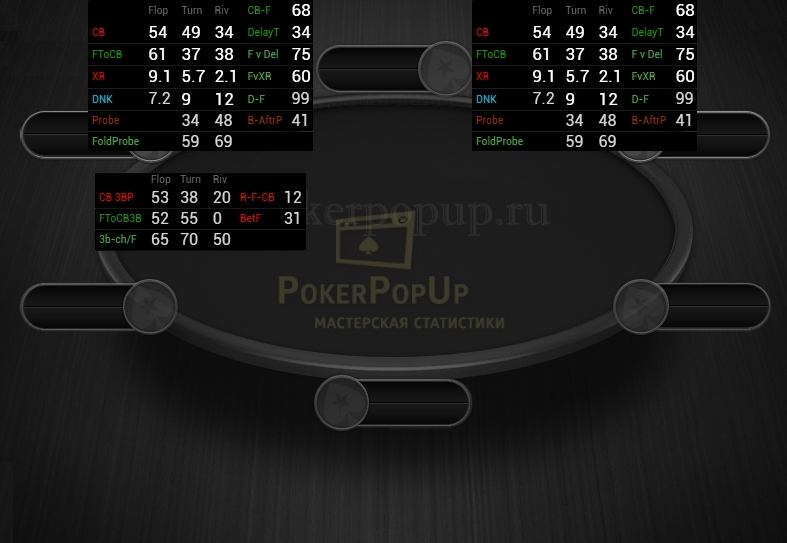 HUD is divided into 9 panels, 5 preflop and 4 postflop.